The BBC has removed online access to BBC Radio 5 Live Sports Extra to international listeners due to the lack of international streaming rights. The move, which was enforced on Monday 25th July, comes just as the BBC is rolling out its iPlayer Radio app to audiences outside of the UK. The blackout also affects listeners using well-known legal alternatives including TuneIn. The changes will also affect UK listeners on holiday or travel abroad. 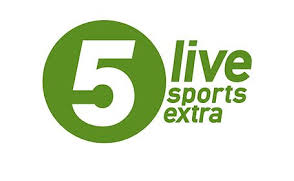 "5 live sports extra, which broadcasts exclusively sports programming has virtually no international streaming rights so it makes sense to stop providing the service outside the UK." Sister station BBC Radio 5 Live continues to be available worldwide via the internet, but individual programmes will continue to be blocked where international sports rights are missing. For the duration of the Olympics, where broadcasters with an international presence frequently have to block coverage outside of their home territory, most of BBC Radio 5 Live's output will not be available around the world. During the London 2012 Olympics, the restrictions even spread to other BBC UK radio networks broadcasting from the Olympic venues.